Message on the card inside reads: "Apart or together, always close to me"
The sentiment, apart or together, always close to me applies to any age, a child going away to stay with a friend, a teenager leaving for university - the message is the same. 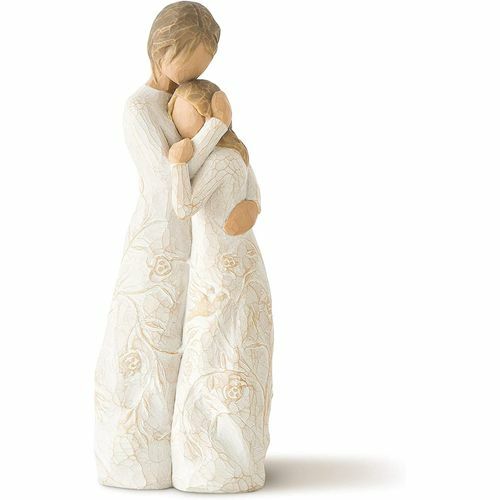 The intertwined images carved on the figures dresses visually echo this sentiment. 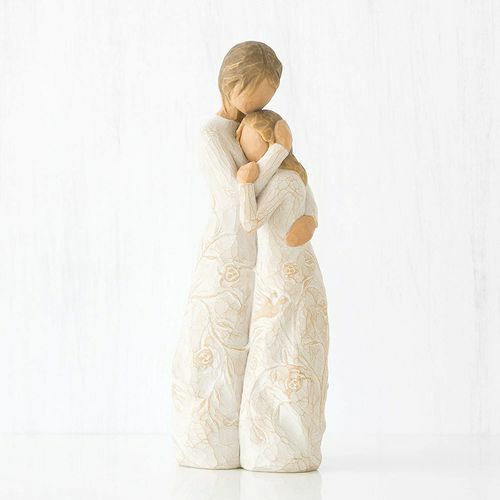 Sculptor Susan Lordi, having been a daughter, and having gone through the experience of raising a daughter to adulthood, sees this Willow Tree piece from both sides. 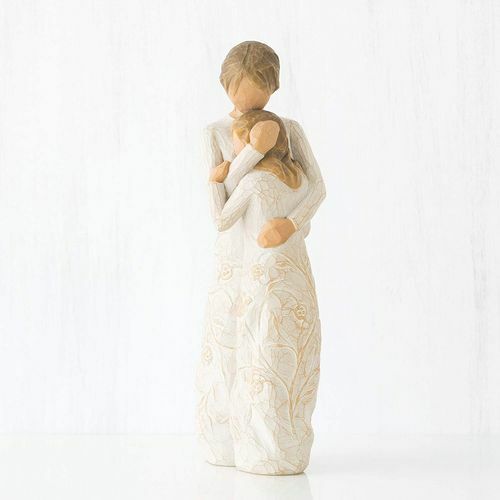 Both mothers and daughters will be able to connect to the emotions of this ornament.